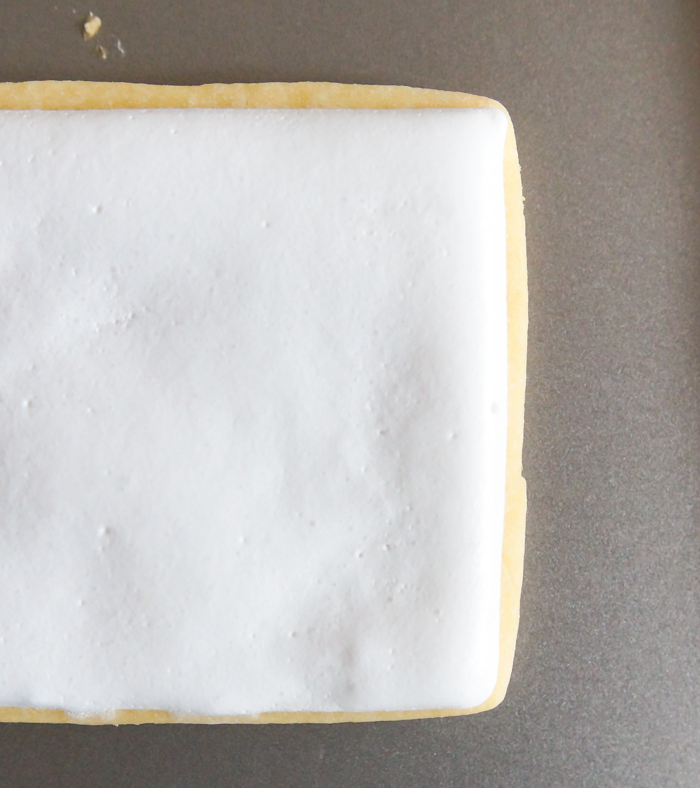 Why won't my royal icing dry? Why is it tacky? Sticky? Bubbly? 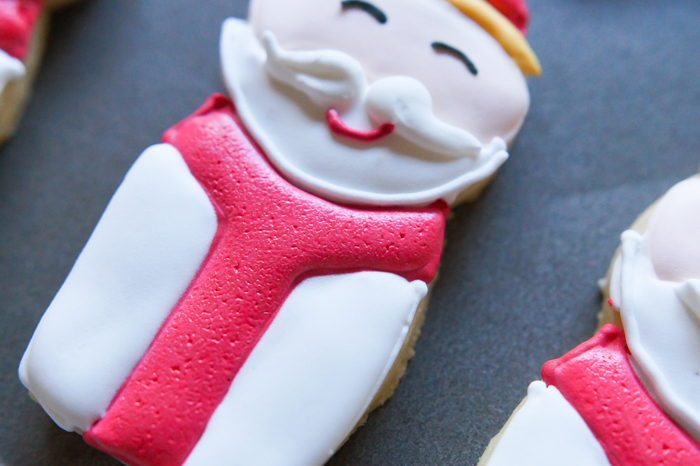 Is your royal icing still wet after drying overnight? It is sticky or tacky to the touch? Does it look foamy and is it covered in little bubbles? I'd experienced this issue when I thinned my icing with too much water for flooding. The good news on that front is that if you noticed that you'd done it, you can stir in some sifted powdered sugar (or some reserved piping consistency icing if you want some) and recover. This week, I had another occurrence. Again, water was the culprit, but it happened in a different way. 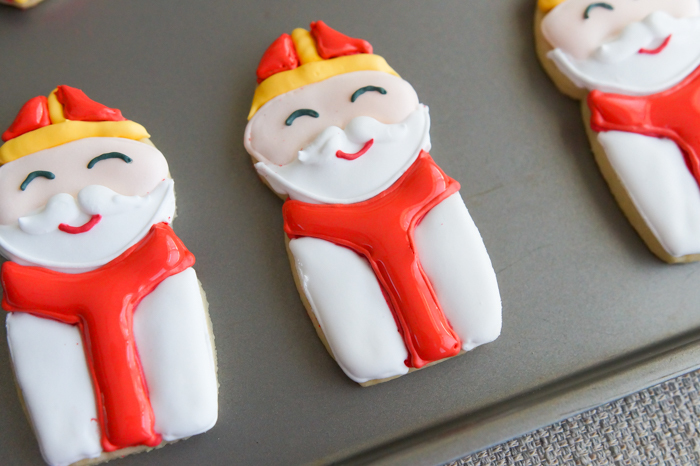 I only needed a little royal icing, so I halved my go-to royal icing recipe. I typically double this recipe, so in my head, I was quartering it. For some reason when I measured the sugar, I weighed out 4 ounces instead of 8. UGH. Fourth: even after adding water to thin it, the icing felt "fluffy." After all of that...I STILL USED IT!!!! What was I thinking?!?!? I knew it wasn't right and the next morning, I got confirmation. My royal icing had not hardened. It was tacky to the touch and covered in tiny bubbles. It felt like the consistency of marshmallow cream. Maybe I should have used it to make fudge. Here's the good news: if you have the time, you can still recover. 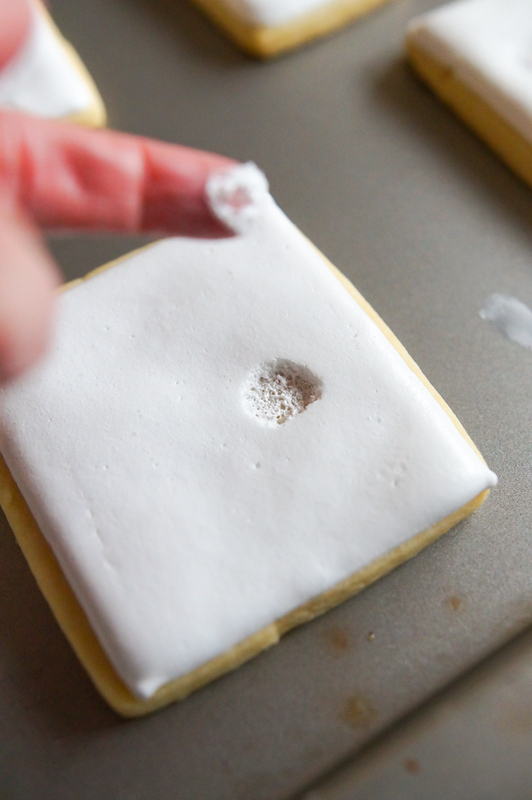 If you've covered the entire cookie, scrape all of the icing off. 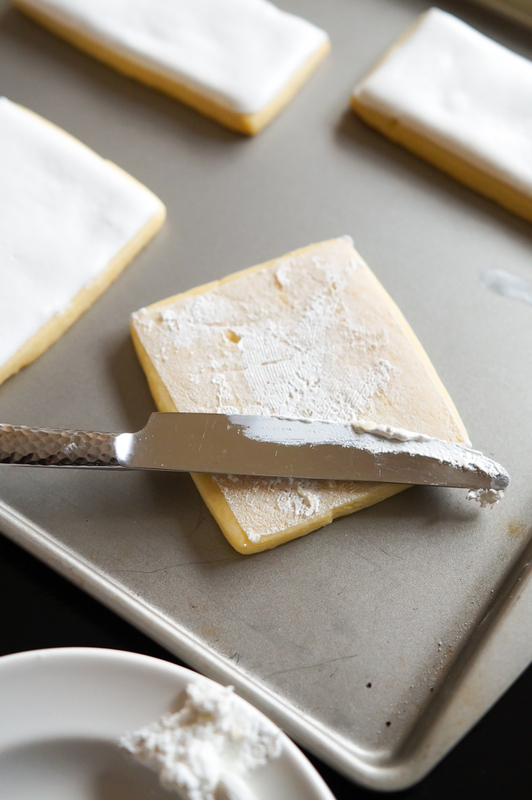 After scraping, you can wipe the cookie with a damp paper towel and dry it for a totally clean slate. Start with a fresh batch of icing and go again. No one will be the wiser. 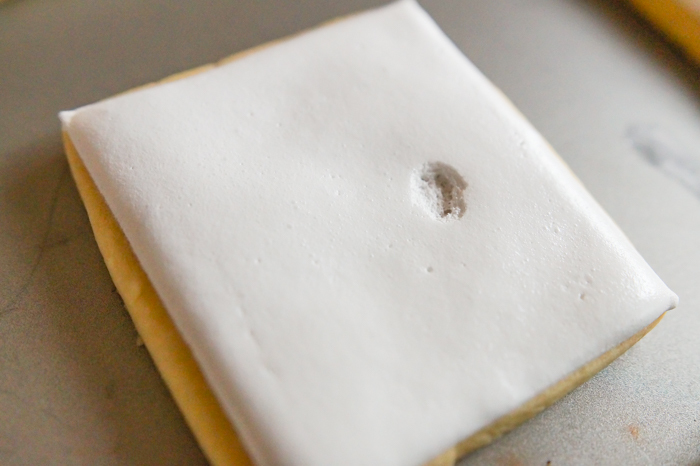 If the issue comes up in the flooding stage, say you've thinned only one color of icing too much, scrape out that color. This part can get tricky. I saved a few baby spoons that allow me to scrape out small areas. Small dip spreaders work well, too. The moral of the story is: if it looks wrong in the beginning, it probably is! 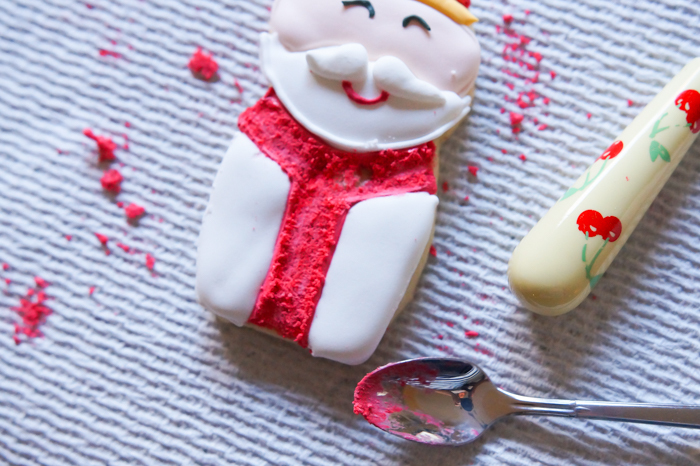 Have you ever experienced this issue when decorating cookies?